Saul Steinberg’s The Labyrinth is new in print again from NYRB, this time with a new introduction by novelist Nicholson Baker. The book is simply gorgeous. My eight-year-old son immediately asked if he might read it (he has been on a sort of comix probation since I caught him reading a R. Crumb collection), and he shuttled through the thing two or three times over half an hour. The Labryinth is 280 or so pages of illustrations with no story or plot, and he was a bit bewildered when I told him I planned to review the thing. “How?” I’ll figure out a way. Saul Steinberg’s The Labyrinth, first published in 1960 and long out of print, is more than a simple catalog or collection of drawings— these carefully arranged pages record a brilliant, constantly evolving imagination confronting modern life. Here is Steinberg, as he put it at the time, “discovering and inventing a great variety of events: Illusion, talks, music, women, cats, dogs, birds, the cube, the crocodile, the museum, Moscow and Samarkand (winter, 1956), other Eastern countries, America, motels, baseball, horse racing, bullfights, art, frozen music, words, geometry, heroes, harpies, etc.” This edition, featuring a new introduction by Nicholson Baker, an afterword by Harold Rosenberg, and new notes on the artwork, will allow readers to discover this unique and wondrous book all over again. I somehow missed Cristiano Siqueira’s series of posters for Twin Peaks: The Return. Siqueira did a poster for each episode of David Lynch’s 2017 sequel—19 posters in all, including a bonus poster depicting Audrey. Check out all nineteen posters here. 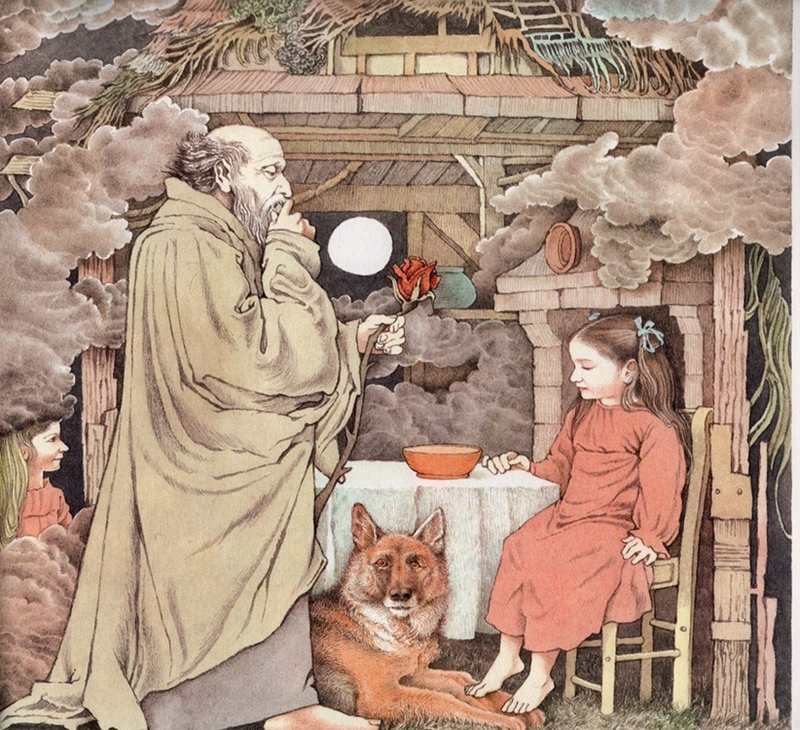 From Maurice Sendak’s retelling of Wilhelm Grimm’s Dear Mili. I couldn’t pass up on this illustrated Heritage Press copy of Leaves of Grass. I’m not sure of the exact date of publication, but this nice long post on the book suggests it was likely published in 1950 and designed in the mid-thirties. I’ll share some of the illustrations and verses over the next few months—a nice excuse to go through Leaves of Grass again. 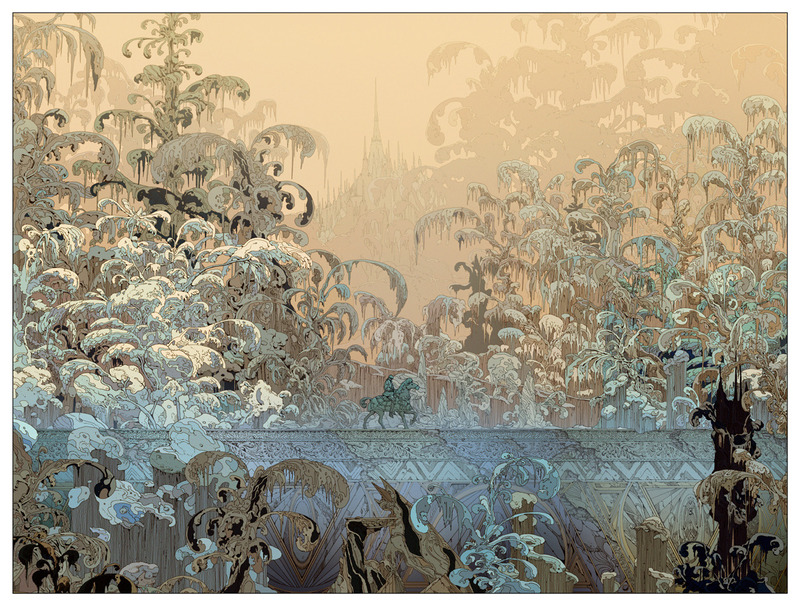 From The Odyssey, retold by Gillian Cross and illustrated by Neil Packer, Candlewick Press, 2012. From Shinji Tsuchimochi’s 100 Views of Tokyo. More at Spoon & Tomago, where you can also buy the book. From Ambrose Bierce’s The Devil’s Dictionary. 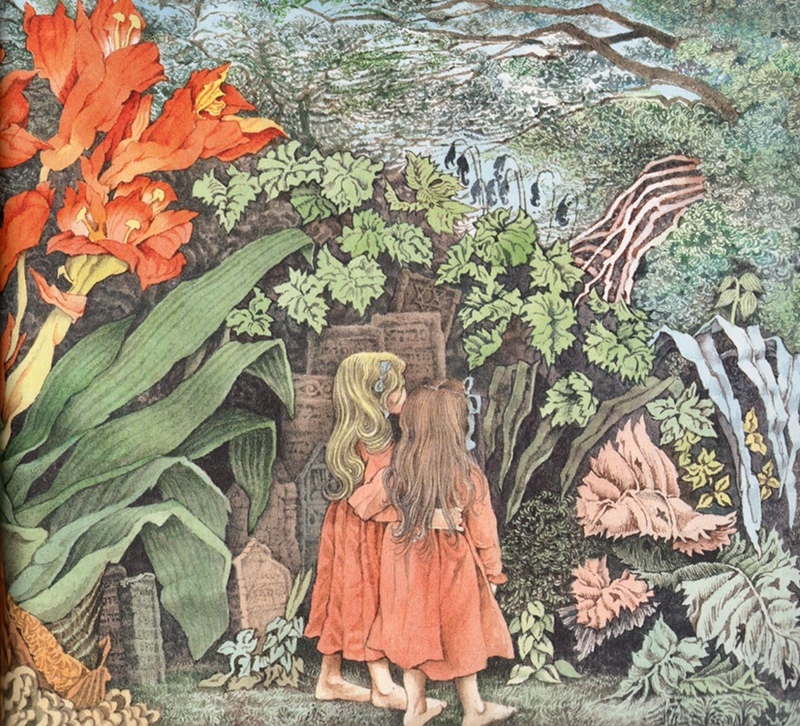 Originally published in 1906; the image is from The Peter Pauper Press’s 1958 illustrated edition, with art by Joseph Low.